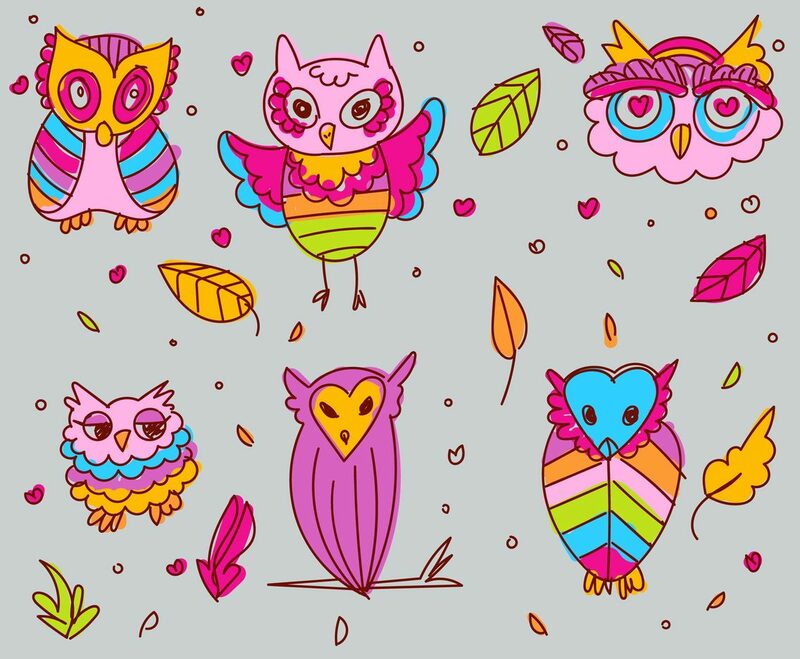 A fun design set of cartoon owls. Perfect for coloring books, stationery, and more. AI and EPs included.